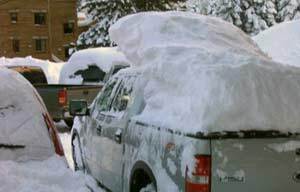 Going out shopping for a new Tonneau cover can be tricky. How do you know which Tonneau is the best for you? They all look the same; they all seem the same. Luckily, you have us at 4wheelonline to break everything down for you. Currently, one of the best Tonneau covers on the market is the Undercover Flex from Undercover Tonneau. These Tonneau covers feature a wide variety of features that are aimed at giving drivers exactly what they need from a Tonneau. In addition to everything that you need, Undercover Flex Tonneau covers are great because of its versatility. To find out everything you need to know about the Undercover Flex, check out our article here. This entry was posted in Tonneau Covers, Trucks & SUVs and tagged toneneau, Tonneau Cover, Undercover Flex, undercover flex tonneau cover. Bookmark the permalink. tonneau covers are best because these covers save you from many problem creating things like , rain dust snow falling etc. So this is very important for a person who use their car form long drive must be use these covers.